1. Pre-heat oven, 180 degrees fan-forced. 3. Sift in the flour, using a small sieve. 4. Add eggs, milk and vanilla. Mix it all together using a wooden spoon. 5. Into the cupcake cases and in the oven it goes, for about 15-18 minutes, until it “passes the needle test”, ie. no dough left on a needle poked in. 8. Add in 2 tbspn of vanilla extract. 9. 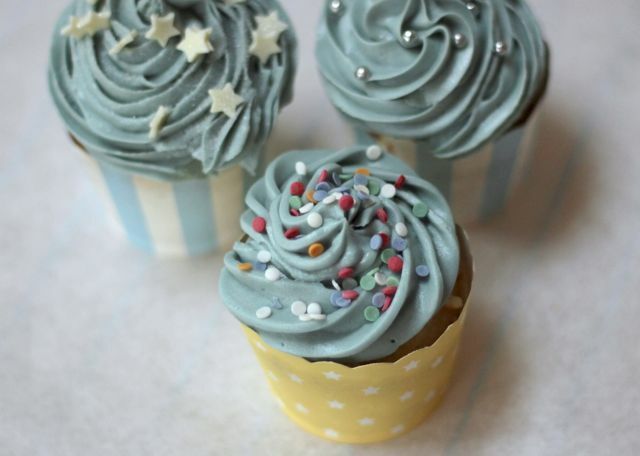 Add icing sugar gradually, and mix together until the icing is really thick. 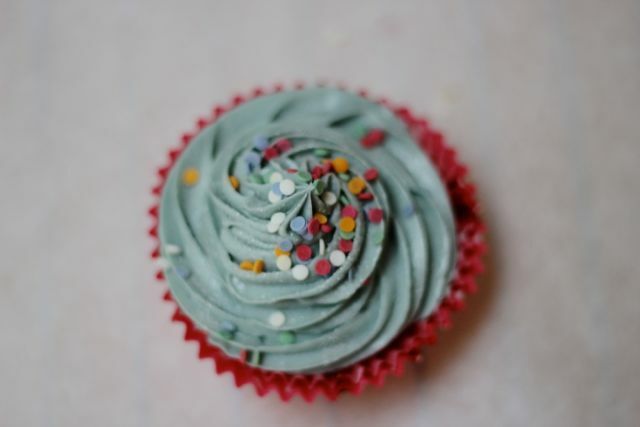 If it’s too “buttery” the icing will lose shape once on the cupcake. 10. Mix in food colouring if desired. 11. 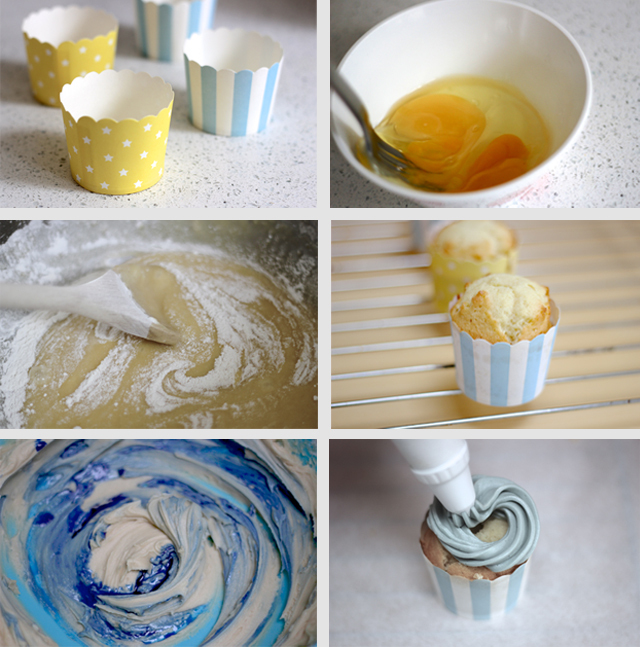 Add icing into the piping bag, pipe over cupcakes, decorate.